The everlasting pursuit of sleep science for over 130 years and the constant brand concept make Sealy different and outstanding: “Harmony of comfort, support and durability”. Sealy is synonymous with orthopedically correct design, a pressure-relieving comfort system and long-lasting durability. Sealy’s core brand – Posturepedic is the combination of Posture and Pedic. Posture refers to the position of the human anatomy as a whole. Pedic is an abbreviation of orthopedic, which is described as the medically correct position of the skeletal structures of the body. 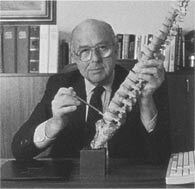 As early as in 1949 Sealy products were developed in conjunction with leading orthopedic surgeons and Dr. Addison, a renowned authority on back pain. In 2006 Sealy formed the Orthopedic Advisory Board to continue to build on Sealy’s rich orthopedic heritage. It focuses on developments and innovations that help contribute to consumers’ orthopedic health and provide more restful and recuperative sleep. The Orthopedic Advisory Board collaborates with Sealy’s leaders in Research & Development to help Sealy: develop advancements that offer orthopedically correct support and contribute to overall orthopedic health; direct and oversee academic sleep studies and research, understand the nature of sleep and sleep problems, and design products that meet consumers’ evolving needs.